When visiting different parts of the country, one of the things I enjoy doing in conjunction with the Mind Body Spirit Odyssey blog, is to check out the local Metaphysical shop. Just by stepping through the door I can automatically tell quite a bit about the community, the shop's owner, how knowledgeable the workers are, and also whether one type of belief system or practice tends to predominant in the area. After I visit I always manage to go away having gained new insights into different belief systems, and/or I learn a new tip or technique that can be of benefit to myself and others (such as the information about how to cleanse healing stones, that I wrote about in this article). One of the nicest experiences I've had in quite a while came during a visit to Saratoga Springs, NY, stopping by The Magic Moon metaphysical boutique. While there, shop manager Kirsten happily filled me in on the shop's history (it was established in 1974) it's products and services, and a little bit about the metaphysical and wellness community that thrives in the area. In addition to horse racing, Saratoga Springs has long healing history dating back to before the 1600's. This is because of the actual mineral springs that are in the area, which are believed to contain medicinal and healing properties. Around the turn of the century the railroad would bring thousands of people up from the New York City area to the famous mineral springs and as a result, over the years a very solid healing and wellness community grew and became established within the area. I've found it interesting that other communities that I have visited in the United States that have a similar history with mineral springs and hot springs, also have a very strong healing and wellness community. Areas such as Pagosa Springs, Colorado and Manitou Springs Colorado come to mind. At the Magic Moon in Saratoga Springs you will find a very well stocked shop with a variety of items for all kinds of interests. 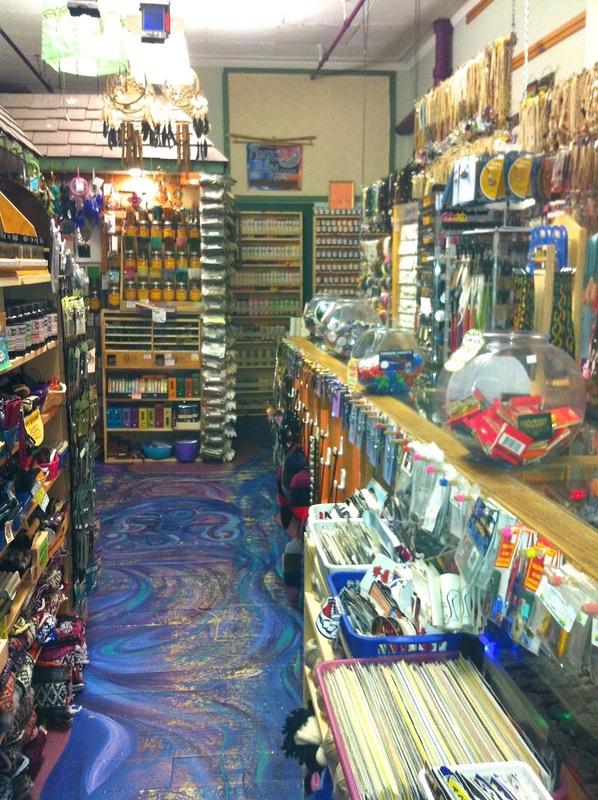 In addition to a wonderful selection of jewelry, shirts, bags, incense, cards and alter decorations, this store has a very large selection of Tarot Cards and also one of the largest book/library sections that I have seen in quite awhile. That's where I spent most of my time. What I found so refreshing is that the books not only cover a wide range of topics and belief systems, but there is a also good selection for all levels of learning and awareness. In other words, they just don't carry mass market beginner books. 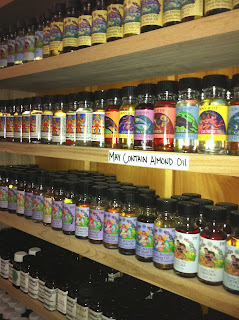 I saw at least 5 different quality brands of essential oil, and when I inquired about them Kirsten was very thorough and knowledgeable in her explanation of them to me. She also stressed that it is very important that people do not fall for the pyramid schemes that are currently going around with essential oils, and that the user should never, ever ingest them for any reason - no matter what you're told. 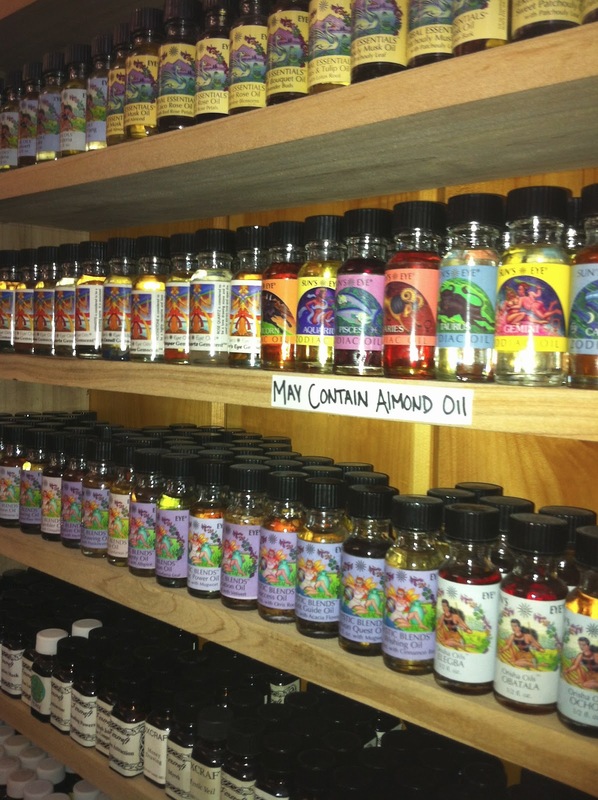 Essential oils are very potent, and they will do damage to the esophagus. The Magic Moon also has a tarot card reader that is available for appointments (who was accurate with my reading), and the shop also serves as an excellent referral source for people who need help that they do not provide or are beyond their scope of services, such as regular counseling services, acupuncture, message therapy, reiki, etc. In fact when I was in the shop, several local practitioners just stopped in to say hello, including a reiki master who resides in the area. If you are ever in Saratoga Springs, stop into the Magic Moon and say hi. And if you already live in the area, I would definitely urge you to take advantage of this wonderful little resource in your midst and their very knowledgeable shop manager. The shop is located at 15 Phila Street in the heart of the city's historical shopping district. I had a nice morning, and thoroughly enjoyed my visit.